WASHINGTON (WPVI) -- President Donald Trump says he'll nominate for FBI director a former Justice Department official who also worked as a lawyer for N.J. Gov. Chris Christie. Trump tweeted that his choice, lawyer Christopher Wray, is "a man of impeccable credentials." Wray works at the King & Spalding law firm. Two former Christie aides were convicted of plotting to close bridge lanes to punish a Democratic mayor who wouldn't endorse the Republican governor. 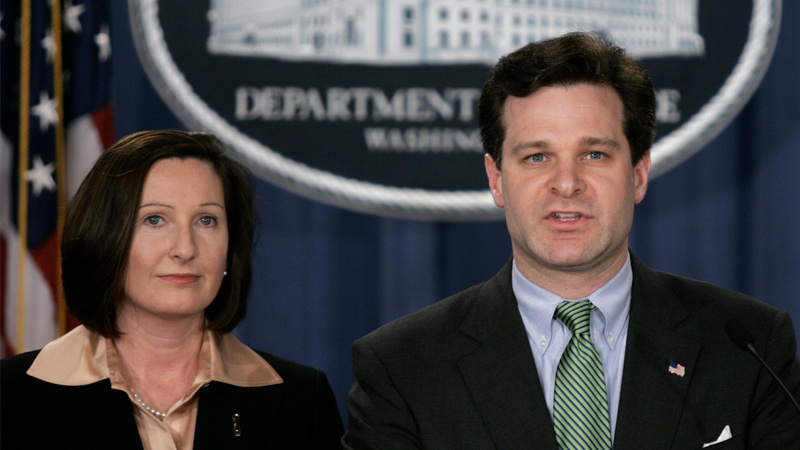 Wray worked for the Justice Department under President George W. Bush.